Josmeyer Estate Fleur de Lotus and pinot gris paired with dolsot bibimbap. Smartphones have rapidly transformed Korea’s media landscape, taking our obsession with being connected to a new level. Instantly sharing wine photos and tasting notes online has become very popular. Wine importers have marketing staff dedicated to Twitter. We dine out frequently and access Twitter and Foursquare to inform others about what we are doing and where we are. A live-to-Twitter wine tasting event was held for the first time this December. Despite a rapid recovery from the global financial crisis, Korea’s wine market has been slower to recover. Most estimates put overall market growth at 4 percent. Volumes are up again but overall dollar growth remains modest. This is largely due to many everyday drinking wines entering the market this year. Many Spanish, French and Italian wines in the under 4-euros category have come into the market. This is good news for consumers looking for everyday drinking wines. These wines end up at 30-45,000 won retail and are good value for money. The Free Trade Agreement with the EU was finally agreed to, ratified, signed and passed into law. European winegrowers, tired what they see as Chile’s unfair advantage, got excited about the news. Many Korean newspapers published articles on how this would make wine cheaper and therefore more accessible to a wider group of consumers. Some importers are holding off on orders until July 2011 when the FTA takes affect. However, there’s plenty of skepticism that importers will maintain their margins until they see the market grow. Many will be watching their competitors to see who drops their prices first. Let’s hope they do so soon. 2010 featured more wine and Korean food pairing dinners and events than ever before. Notable events were the dinners hosted by Christophe Ehrhart, a winemaker and viticulturist from France, and the Asian Palate dinner by Jeannie Cho Lee Master of Wine, originally from Korea. The Korean magazine Wine Review featured a number of advertorials by wine promotional organizations touting their wines as the best with Korean food. Jeannie Cho Lee MW and Edwin Soon published books on wine and Asian food pairing each dedicating a chapter to Korean cuisine. A Korean wine school started teaching a course in Asian food pairing including a section on pairing wine with local cuisine. 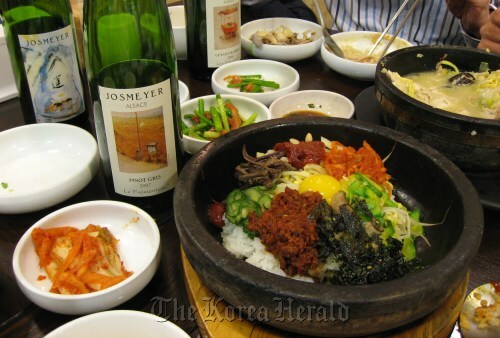 Both Koreans and foreigners living in Korea are pairing wine with Korean cuisine. This trend seems to be growing rather than just being a fad. Wine clubs continue to be an important way for people to meet new friends, learn and share knowledge of wine. Naver’s Wine Caf Chateau Naver online wine forum is one of a number of online Korean wine communities that meets regularly. Some wine clubs focus on connecting expat foreigners with Koreans such as the Daegu Wine Club run by British expat Maninder Saini. The Daegu Wine Club uses Facebook to connect its members and develop their wine knowledge. This year’s social media phenomenon has made drinking wine even more of a social experience. As the wine market matures and FTAs take effect, drinking wine will be an experience we can all enjoy.